Kenya being the most attractive tourists destination contributes about 63 percent of GDP. 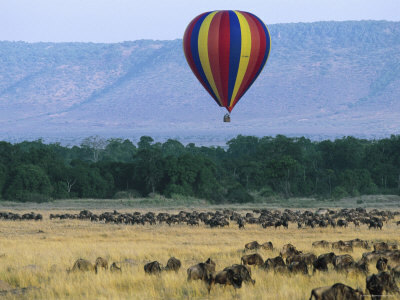 Kenya is a home to many safari parks, mountains, beaches and lakes. Nairobi, the safari capital of the world, is an ideal place for brave and adventure loving visitors. It is also known as " The Place of Cool Waters" as Kenya has a beautiful flow of rivers and lakes. Top tourists destinations in Kenya are Nairobi, Mombasa, Masai Mara, Lamu and Malindi. The safari tour is the best thing that you can do in Kenya. Many beautiful beaches also attracts tourists like Miami Beach of Kenya, Watamu and Tiwi beach. Lake Victoria, the second largest fresh water lake in the world is a gorgeous place to visit. Breathtaking diverse landscapes and The Great Rift Valley adds charm to the beauty of Kenya. Kenya is also famous for its sites, museums and monuments. They show Kenya's rich cultural heritage, history and art. The Nairobi National Museum is the largest museum in Nairobi. Uhuru Gardens, a national monument is also an attracting destination for tourists. Some cultural and historical sites such as Hindu temples, Gede ruins in malindi, Fort Jesus along with large number of churches and mosques showing the Glory of God are attracted by large number of tourists. Wood carving and art work of Kenya are very beautiful. There are large number of shoping malls and modern stores in different cities of Kenya. Some of these are Nakumatt Nyali, City Mall Nyali, Nakumatt Likoni, United Mall, ABC Place, Yaya Centre, The Village Market, and T-Mall. These shopping malls and modern stores attract people from all walks of life. Kenya is also known for its flowers, tea, and coffee. Kenya has large number of hotels for accommodating large number of tourists. Kenya Hotels provide finest hospitality and meet all needs of tourists. So to enjoy the breathtaking beauty of Kenya book Cheap Hotels in Kenya at affordable prices. Hotels in Kenya are ranging from luxury to cheap hotels meeting the needs of all travelers. Some Hotels in Kenya are Safari Park Hotel Nairobi Kenya, Intercontinental Hotel Nairobi Kenya, Nyali Beach Hotel Mombasa Kenya, Mara Safari Club Mara Kenya, Governors Camp Mara Kenya, Imperial Hotel Kisumu Kenya and lots more. So have a visit to Kenya as it will trually be a memorable tour for you.